AN INVESTIGATION HAS found that at least 1,400 children were exploited in the UK town of Rotherham between 1997 and 2013 and that there was a “collective failure” by authorities to stop the abuse. The Rotherham Borough Council published a report today which said that it is “hard to describe the appalling nature of the abuse that child victims suffered”. The inquiry was launched last September to look at how Rotherham Council’s children’s services department dealt with cases involving child exploitation. The report gives examples of children who had been doused in petrol, threatened with guns and made watch brutally violent rapes. The victims were also told they “would be next if they told anyone”. Girls as young as 11 were raped by large numbers of male perpetrators, the majority of whom were of Pakistani heritage. The majority of the victims were young girls but there was also a small number of boys involved. The independent investigation concluded that this abuse is “not confined to the past but continues to this day”. 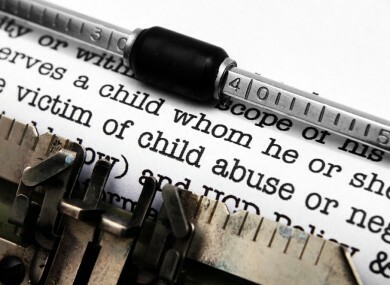 In May 2014, the caseload of the specialist child sexual exploitation team was 51. The report says that over the first 12 years covered by the Inquiry, there were “blatant collective failures” of the political and officer leadership. The author, Professor Alexis Jay, also said the council underplayed the scale of the problem and that South Yorkshire Police failed to prioritise the issue. This is the fourth report into the situation in Rotherham. The first three, completed between 2002 and 2006, also outlined what was happening in the area. Professor Jay believes the reports were “effectively suppressed” and “ignored” by authorities because officers did not believe the data. Council officials were told about the abuse in 2004 but a “macho, sexist and bullying culture” blocked any effective response. “The authorities involved have a very great deal to answer for,” Professor Jay said in a press conference today. “From the beginning, there was growing evidence that child sexual exploitation was a serious problem in Rotherham. This came from those working in residential care and from youth workers who knew the young people well,” she adds in the 153-page report. Five local men were convicted and sent to prison in 2010 for sexual offences against girls. Email “More than 1,400 children sexually exploited in UK town over 16 years”. Feedback on “More than 1,400 children sexually exploited in UK town over 16 years”.